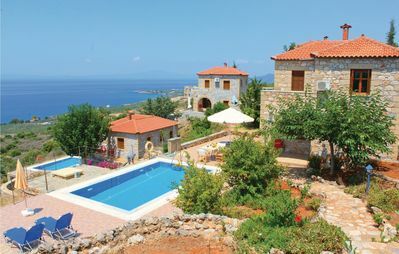 Our home is located at Akti Kanari, at the Venetian Port of Chania. A semi-detached house with its own small garden and front porch, fully equipped, beautifully decorated. Three ensuite bedrooms, fully equipped kitchen, washer & dishwasher, fast wifi, cable tv. Fantastic ceramic tile mosaic floors, perfectly preserved, reminiscent of another era. 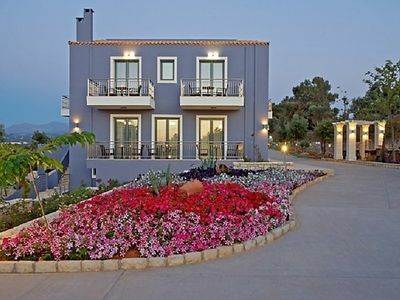 Modern amenities and full practicality in our home at the Venetian Harbor of Chania! This is a beautiful home where every single detail is taken care of for our guests! From the high-quality linens up to the quiet courtyard. 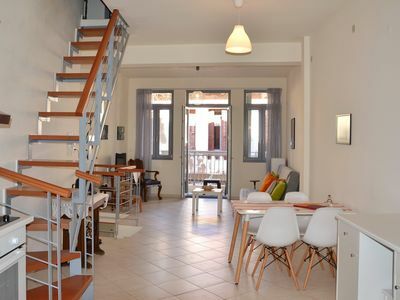 Fully equipped and top of the line amenities, equipment, and facilities for your worry free vacations in one of the most popular streets of the old Venetian town of Chania City! 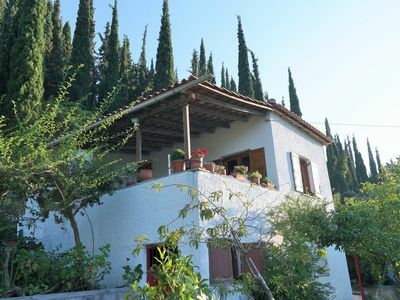 House consists of three (3) fully equipped bedrooms and can more than comfortably sleep 6 persons. 3 fully equipped ensuite shower bathrooms! All rooms are air-conditioned, wifi is available, towels/linens are provided. 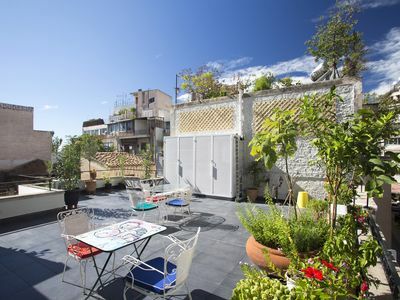 The kitchen is fully equipped and...last but not least, we boast of an amazing courtyard with outdoor furniture where you can enjoy a cold beer moments before going out to explore the Venetian Harbor and its cobblestone paved narrow alleys! Three (3) bedrooms. Master bedroom is a huge room with a queen size bed and a beautiful clutter free decoration. Full body mirror is available and an ensuite bathroom. 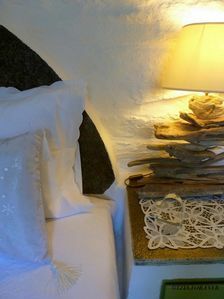 This is a relaxing room for perfect sleep after a tiring day out and around the old town and the numerous beaches of Chania! The second and third bedroom, both consists of a double bed, a vanity table/desk, closets and ensuite bathrooms. All bedrooms are air-conditioned! 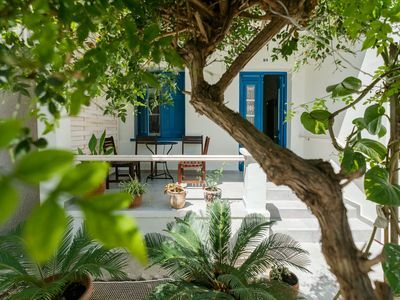 Our home is located in a residential neighborhood and although we are located in the heart of the old town, our area and the large patio and courtyard more than guarantee a very quiet Mediterranean environment. Three (3) fully equipped ensuite bathrooms are found in our home. 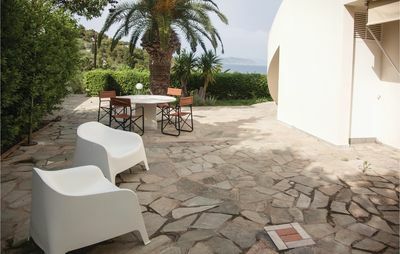 All spaces are totally renovated with high-quality materials, brand new accessories, fresh and clean towels. All essentials and toiletries are provided for our guests! Upon the entrance to our home, you find a large living room with one 2seater sofa and two vintage armchairs and coffee table. The room is spacious, bright and decorated with unique original items, vintage items. A juxtaposition of traditional artifacts, vintage aesthetics with modern luxury, practicality, and amenities. Right next to the living room you will find a large kitchen fully equipped with all the small and large electrical appliances, tools and facilities for preparing any meal, snack or beverage you feel like. In the same room, you will find a small dining table although we are pretty sure that you will spend most of the time dining on our lovely courtyard outdoor dining table which is large enough to accommodate all of you! Even though our home is a marvelous place where everything is taken care of for you, we boast of two beautiful courtyards. 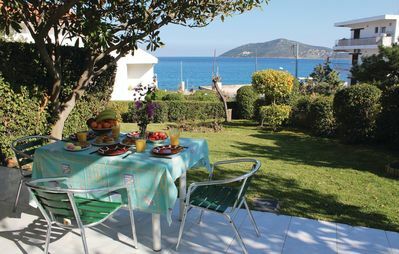 One is at the front of the house where you will find a table and chairs where you can enjoy a fast snack or your breakfasts. The second is located at the back of the house with direct access from the kitchen room. It is very quiet and would be perfect for your quiet evenings with your friends or family enjoying your dinner or a glass of wine listening to the sea which is located steps away from our home. • Pans & Pots, cutlery, full sets of plates, glasses, mugs, etc. • Lots of Love and care! We have designed our house in such a way so we can offer a relaxing stay for all our guests. We are demanding travelers ourselves and know what a person needs so he/she can enjoy their vacations. Our aim by building and designing our home was to satisfy all senses. We humbly believe that we managed to reach our goal. The habitat of a home has to be elegant, clean and uncluttered, easy to navigate and use with everything a modern person may need for a satisfying and safe stay. We are located at an area, steps away from the Venetian Harbor. In seconds you will wander around the narrow alleys of the old town, meet locals and people of the area, find out about our history and multicultural heritage, discover great restaurants or cafes to sit by the port or into secret narrow alleys to enjoy your time in the best way possible and experience life the way locals do! We are seconds away from the Old Market, the Venetian harbor and lighthouse and also at a very short walking distance from the central bus station. Chania has a natural, privileged, well-protected beauty. Sleepless guardians to the south stand the gigantic Madares mountains (Lefka Ori - White Mountains) in all their indestructible, panoramic glory. To the north stretches the multi-colored immensity of the Cretan Sea, with some of the most beautiful beaches in the whole world. And all around lies its land, scarlet and green-haired, sown with wild silver gorges. A land that seems to be made flesh, so spirited and alive that you hesitate to tread on it. All this beauty explains why Chania is a place full of history where different civilizations have flourished. From the Arabs to the Venetians, to the Egyptians and the Turks, all wished to control Chania, all have left their signature on the multicultural character and the architecture of the city and all of it is literally on your front step! The Old Venetian town with its maze-like alleys and its 15th-century mansions will mesmerize you. The ancient world coexists with the medieval and the modern world in the city of Chania. And everything flourishes under the blue sky and the sun that always shines. This is the place where history is created, at the island of Crete, the birthplace of Zeus and 'Philoxenia'. Amazing house in front of a beautiful beach. 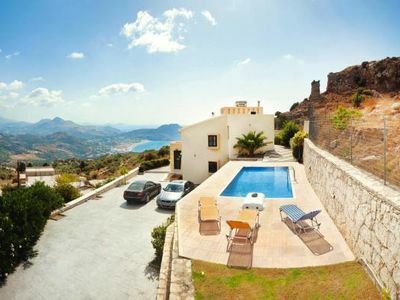 Luxury Villa with pool, located on a prominent hill, a few minutes to the sea. 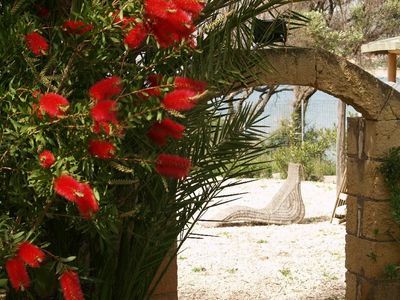 Extraordinary, idyllic holiday domicile DIRECTLY by the sea! Welcome to La Maison Vert Amande. 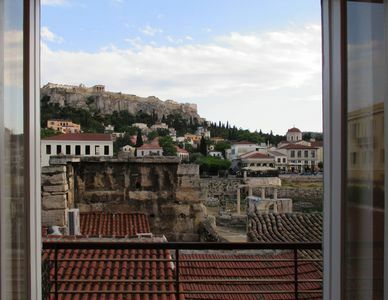 Lovely house in Athens centre with roof garden! 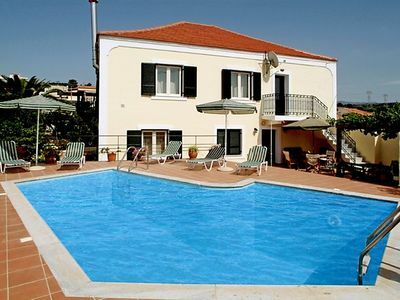 2 bedroom accommodation in Agios Nikolaos M.